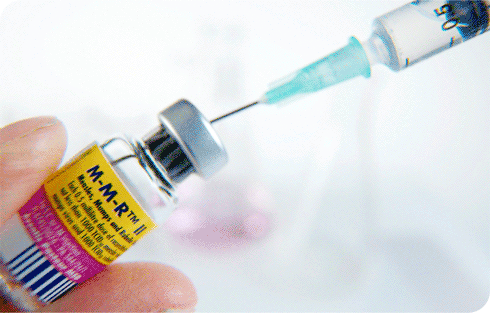 The High Court has ruled that two sisters must receive the MMR vaccine against their wishes and the wishes of their mother. This was an application by the father for a declaration and a specific issue order concerning his daughters both receive the MMR vaccination. This was opposed by their mother. Following the breakdown of their parents’ marriage, the girls (aged 11 and 15 respectively) lived with their mother, and the father had contact every alternate weekend and half the school holidays. After publication of the now discredited paper published by Dr Andrew Wakefield in the Lancet connecting the MMR vaccine with autism, both parents agreed not to have a booster arranged for the older daughter (who had been inoculated against MMR at birth) and to forego a vaccination for the other daughter completely. After the Lancet retracted the paper, the father became concerned about this decision and in January this year his solicitors wrote to the mother seeking her agreement to the girls being vaccinated, failing which it was indicated he would apply to the court. That agreement was not forthcoming and the father issued this application in April 2013. The paramount consideration of the court was the welfare of the children. In considering their welfare the court is guided by the matters set out in the welfare checklist in section 1 (3) of the Children Act 1989. ‘a. Measles, mumps and rubella are serious infections, each of which carried an appreciable risk of dangerous complications in healthy individuals. Vaccination is the only practical way to prevent an individual from contracting infection, and all the evidence is that it is effective and has a very low level of side effects, which are generally mild and transient…….. The slight twist in this particular story was that one of the daughters is a vegan and part of her objection was based on the content of the vaccine which includes animal based ingredients such as gelatine. Nevertheless, the judge concluded that it was in the best interests of L and M that they receive the MMR vaccination, and granted a declaration accordingly. The emotional consequence for the girls of the court making this decision was not a reason for the court to flinch from deciding the issue. The objections raised by the girls regarding the ingredients of the vaccine had not been balanced against the very clear health risk of getting any of the diseases the vaccine prevents. but now the court has made the decision I have every confidence, that despite their differences, these parents will be able to manage their parental responsibility in such a way that will ensure the strong and secure relationships that exist between each parent and both children will remain in place. Enforcement of custody in the face of child’s dissent: should the law prevail? I think it is a slippery slope when courts control medical treatment unless it is life threatening,, as it removes choice and the right of individuals to make their own informed decisions even if ,as here it is for their children. With the increase of enforced medication under the Mental Capacity Act, we must ensure the separation of powers remains in tact, and individual rights are protected from an ever business/ pharmaceutical friendly establishment. The use of the MMR instead of the single vaccines is largely governed by government purchasing policies, and now the fact that the pharmaceutical company no longer produces the single vaccine , this is excused by rather less than feasible medical advantages. Wakefield was vilified deliberately, and used as absolute proof there is no connection between the MMR and autism. This is not true. The truth on the MMR is dependent upon the scientific information available, and there is a dearth of this, as money is not available for research into the vaccine autism connection due to so many vested interests. But studies in America have shown monkeys develop autistic traits from mercury in vaccines. The counsel for the 1,000 + claimants who were unable to pursue their claims for their children’s autism wrote in the Daily Mail on 18/10 that she was one of a handful of lawyers who read the expert reports, and also acted in class US autism litigation some of which were won or conceded by the US government . The western world, particularly the US and UK, have seen a massively disproportionate increase in autism, yet the The National Autistic Society is prohibited by its constitution from researching into the causes of autism . I was with you until you started defending Wakefield. L is not a vegan. She is a girl of 15 who – at present – intends to be a vegan when she is an adult and whose mother is, unfortunately, indulging her by allowing her to eat only as vegans eat in her (the mother’s) home. Luis, are you seriously suggesting that the mother should allow a teenager to decide what “clothes, plastic bags, toothpaste, shampoo, sugar, fabric softener etc” should come into the house to be used by all three of them? Those products may be used by her but they are provided and paid for by another and that other must have the final say. I can’t see that the judgment includes an order that these sisters are to be innoculated, just that the court has decided that it would be in their best interests for them to be innoculated. It is perhaps a useful judgment as it emphasises that objections to the MMR may still be based on the misleading reports of Andrew Wakefield and the Daily Mail. However it’s unfortunate that the impression is given that young people are to be forcibly injected, because that is not what the judge has said. It seems that she hopes the parents can now exercise their joint parental responsibility to arrive at the best solution. Regarding the issue about the animal products in the vaccine, it would be interesting to know whether that girl is really serious about being vegan and all products used directly or indirectly by her are vegan-approved (including clothes, plastic bags, toothpaste, shampoo, sugar, fabric softener etc) or it is only about things that are ingested by or injected on her. That would tell whether taking the big life-threatening risk of not being vaccinated is justifiable or just hypocritical. Come off it, Paul, Jehovah’s Witness parents are regularly overruled by the courts when they will not let their children have blood transfusions and quite right too; and this is no different. Damages? Who is she going to sue? The decision of the court appears balanced and reasonable in all but point 5. Is it not possible to produce a vegan acceptable vaccine. Remember cost is not a good reason to deny the girl’s right to practise her belief. Irrespective of what one may consider a sensible belief or religion. It may be that the girl will later in life seek damages for such an abuse. I suspect there will be more to follow in this matter. Isn’t there usually some kind of judicially enforced custody arrangement? Wouldn’t it say which parent (or both) would make decisions on matters such as education, health, etc.? Very confusing. Not in the least bit confusing: both these parents have (quite properly) a say about decisions that affect the welfare of their children because they both have parental responsibility for them. If they agree about which of them should be looking after the children most of the time and what time the children should spend with the other parent, there’s no need for the court to intervene.